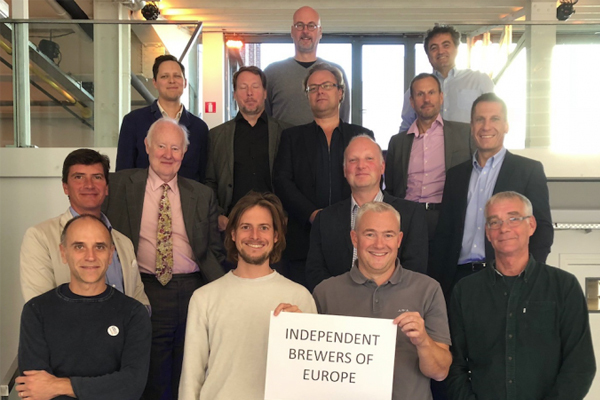 The independent craft brewing associations of nine European countries have announced they will be forming a new body, the Independent Brewers of Europe (IBE), whose aim is to work together to promote and advance the mutual interests of their members with the European institutions and media. Bodies from France, Italy, Denmark, Ireland, Sweden, the United Kingdom, Spain, Netherlands and the Czech Republic, all of whom represent smaller, independent craft brewers, agreed their plan at a meeting in Brussels. With approaching two thousand member breweries, the nine organisations represent a growing proportion of Europe’s brewers, producing local, artisanal beers of quality and character that drinkers demand. They employ local people and encourage the responsible consumption of their beers in social settings in their communities. The IBE intends to convey its message both politically and commercially in Europe, where the small independent producer’s voice is often not heard. The IBE aims to become a central point of contact for the European institutions and to field representatives to make their case on issues of concern, such as regulation, taxation and access to market, and invites similar bodies from other countries to join them.